This morning I was listening to the podcast "Happier" with Gretchen Rubin. The episode featured Gretchen (author best known for her book, The Happiness Project) talking to her sister Elizabeth Craft (a movie/television writer and producer) about limiting beliefs. 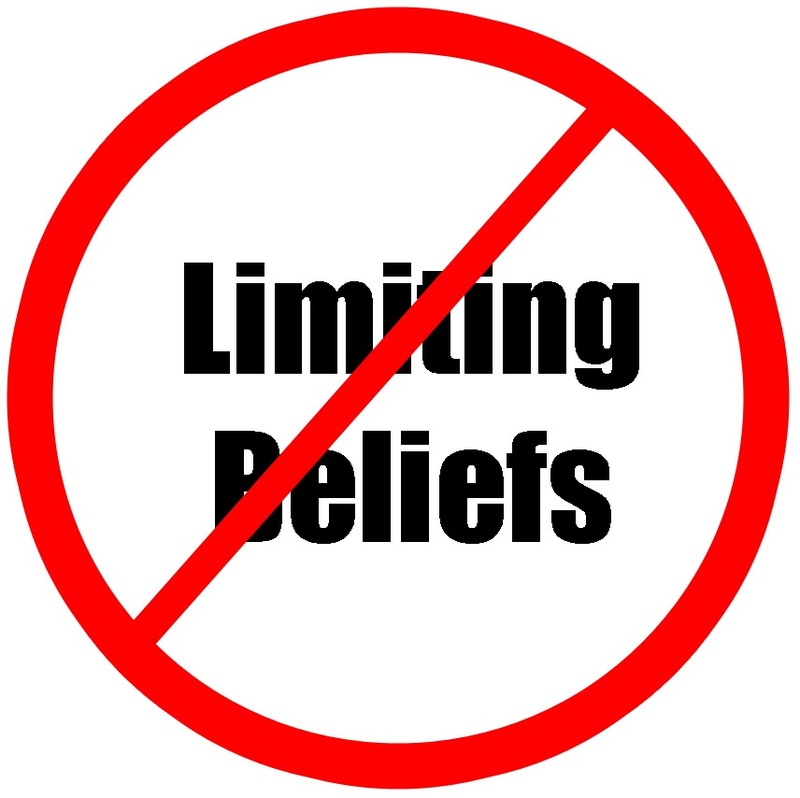 A limiting belief is a belief or thought that is so deeply ingrained in us that it constrains us in some way. Just by believing them, we do not think, do or say things that they inhibit. A limiting belief is often about ourselves, how we see ourselves, or how we self-identify. Yet, limiting beliefs can also be about other people and the world in general. The key is they LIMIT us from seeing potential, believing something is possible, and trusting there can be more than what we are experiencing right now. Sometimes it is hard to recognize limiting beliefs. However, if we analyze them and pull the threads of logic about these beliefs, we can begin to see the faulty thinking behind them. I remember distinctly a time when I became aware of a limiting belief that could limit my effectiveness as a leader. I was serving in my first church, sitting in my first finance meeting. That evening, we were talking about our investments. Suddenly, I felt myself break out in a cold sweat. Words were coming out of people's mouths that I did not understand. Hard words, not like the hard words I had learned, such as Christology, epistemology, hermeneutics, or even infralapsarianism. The words being used in this meeting were not Hebrew, Greek, or Latin words. They were not words that I had encountered in any of my seminary classes. These were words like preferred stocks, equity funds, asset allocation and index funds. Had I missed these courses? Was I quizzed on them in my orals? As the conversation continued around me, my mind spun out of control. Then the dreaded question came. The only one I was not prepared for, "Pastor, what do you think?" Honestly, I have no idea what I said, but I do remember my deep relief when the meeting was over. For the next week or so, that meeting was on a repeating loop in my mind, and the occupying thought I had was, "I am never going to understand church finances." THIS was a limiting belief. After a while, I decided to pull on the thread of the logic behind this limiting belief. Was I incapable of learning something new? Was it impossible for me to find someone who could share this knowledge with me? Had I not learned hard words, hard concepts, or done hard things before? The answer always came to NO. I was simply limiting myself. I began to pray about it. I prayed that God would direct me to someone who might be helpful in my exploration and understanding of these new concepts. As it happened (not by chance, of course), I was at a community meeting and met an interesting woman who was the president of a local bank. In the course of the conversation, I told her about the church finance meeting and how lost I had felt. I asked her if she would be willing, if I would pay her for the sessions, tutoring me on the basic concepts of investments and finances for not-for-profit organizations. She was happy to do so, and we set up a time to meet the next week. We had several sessions together, and it was one of the best investments I made. It taught me two important lessons: 1) Do not limit yourself by thinking you cannot do something. 2) There is always someone who you can learn from and is willing and often eager to share their knowledge, experience, and insight. All you have to do is ask. Consider the conversations that you have in fellowship/coffee time, in ministry team meetings, in governing body meetings, in congregational meetings, and in the parking lots of your churches. Can you identify some of the limiting beliefs that are revealed in those conversations? How are they or how are they not serving your church and its ministry well? How do they limit not only the corporate thinking and decision making of the church, but also how, more importantly, do they limit the power of God to act and move in your church? The interesting thing is that we claim to believe the words and message of Jesus, "with humanity this is impossible, but with God all things are possible (Matthew 19:26)." But do we really believe ALL things are possible with God? Do we live this belief? Or are we held back by our limiting beliefs?